The Pacific Coast Highway southbound number 2 lane, between Trancas Canyon Road and Busch Drive, will be closed on March 4-5 from 8:00 a.m. to 4:00 p.m.
MALIBU—The number 2 southbound lane of the Pacific Coast Highway, between Trancas Canyon Road and Busch Drive, will be closed on March 4-5 from 8:00 a.m. to 4:00 p.m.
As part of the Pacific Coast Highway Bike Route Improvement Project, workers will be applying pavement slurry along the highway to make a six foot wide class II bike lane parallel to the highway and adjacent to the shoulder parking area for approximately two miles. The project spans from the intersection of the PCH and Busch Drive to the western city limits, a distance of approximately seven miles. The project includes striping and signage upgrades throughout the entire seven miles, as well as shoulder and intersection improvements. 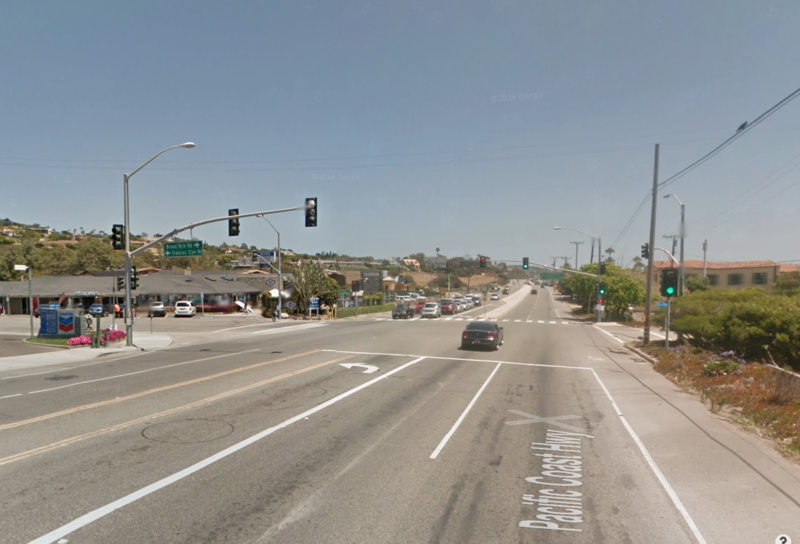 The project has thus far provided a dedicated right turn lane onto Morning View Drive, with an adjacent four-foot bike lane at the intersection with the PCH, and a raised concrete median at the intersection of the PCH and Trancas Canyon Road.